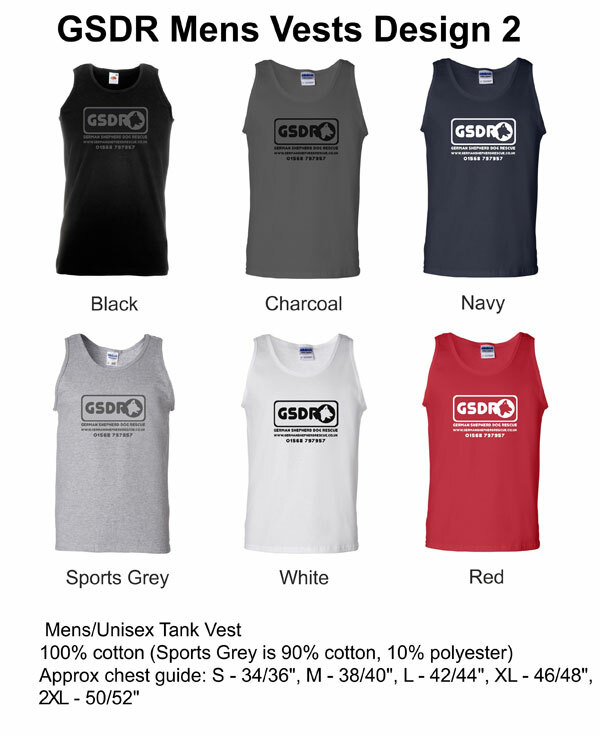 Mens / unisex tank vest in 100% cotton (Sports Grey is 90% cotton, 10% polyester). Available in a variety of colours and 3 designs. This version is suitable for both men and women. Approximate chest guide size: S - 34/36", M - 38/40", L - 42/44", XL - 46/48", 2XL - 50/52"
Design 2 has the oblong GSDR logo with the words German Shepherd Dog Rescue, web address and phone number printed underneath.